“I just wanted to tell you that I am so glad to have my PTE!! 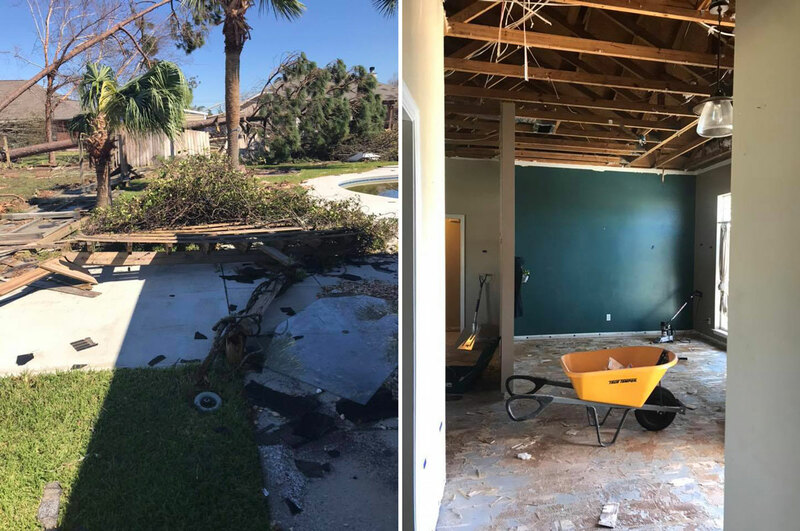 Our house suffered quite a bit of damage with Hurricane Michael and like so many others, we had to pack up almost everything in the house so the repairs could begin. My friends talk about how they didn’t think about grabbing their fave recipes, especially holiday recipes. I don’t have that problem!! I can log in on the computer or the app and all of our recipes are there 🙂 I try to celebrate the little victories right now and PTE is a little victory. Aimee has 3 children (10, 14, and 17) and a husband in active duty in the Air Force, who was called on duty during Hurricane Michael. When we spoke with her a few weeks ago, they were moving into their 4th temporary house to allow contractors to make repairs to their home. She has been using Plan to Eat for a little over 1 year, which was recommended by a friend when she returned to work after 13 years of staying home with her children. In the midst of the destruction and moving from house to house, we’re thrilled that we could be a part of a little victory. Thanks for sharing your story with us Aimee!